White Mug | OK Listen! "When we used to gather at the BTM smoke house- 'Asylum', a place that produced a few bands like us, we never thought White Mug would shape up. It's all about the way we have fun. In 2011 we started covering songs that we adored and then started making songs on anything and anyone's silly emotions. From then on it has been a roller coaster ride so far". The band started gaining popularity in 2012 and started touring the country coz of their unique sound. With a sound reminiscent of electric blues music fused with old school rock n roll grooves and alternative elements, catchy melodies, unanticipated use of cowbells, harmonica, tambourine and djembe encompassed by sheer energy, White Mug is sure to touch you deep! 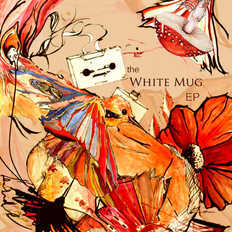 As an outcome of their hard work and dedication to music over the years, the band released their debut EP called 'the White Mug EP' on the 4th of May, 2014. ¬ Baben – Drums, percussion.